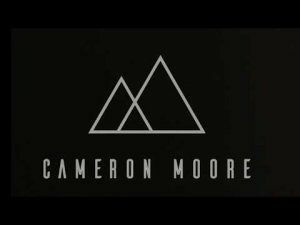 Since his debut release in November of 2014, Cameron has performed or led worship nearly every weekend, and has opened in concert for Laura Story, aired on and been interviewed by Christian radio stations all around the world, and traveled the east coast for various conferences and concerts. Cameron Moore is currently on staff at Davidson United Methodist Church, where he serves as the Contemporary Worship Director and the Assistant Youth Director. 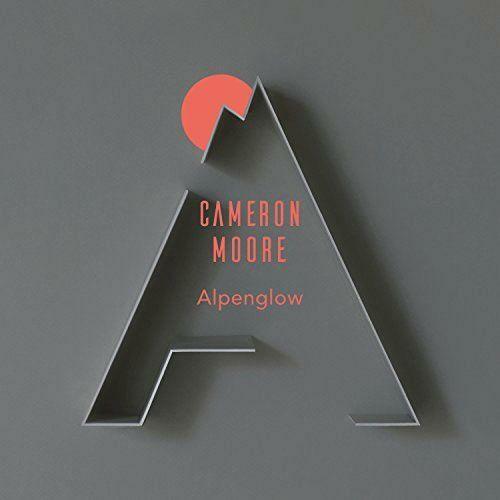 This is the second release from Cameron Moore and this time it represents a more mature thought process and concept. The story of "Alpenglow" as a concept is that it is the rosy glow that you get in the sky at sunset and sunrise, and in the case of this album, specifically in this order. This see's the contemplation from sunset through to sunrise and the album tracks the journey through it's songs and lyrics, starting with a descent into darkness which is outlined from the very beginning in "Alpenglow (Part 1)". Acting as an introduction to the album and the concept this track opens with the darkness and a choice, to stay, to not walk away, but to endure the darkness. There is a wrestling between darkness and light through this album. "P.S. Love Awaits" begins this wrestling of the journey of life that there are many experiences in life, but all through the pain there is a love from the Father that awaits you. As this song progresses with it's pounding beat it's a reminder that love is waiting and chasing after us. "Hold On" continues this thought that there is someone coming for us and we need to hold on. "Storm the Bastille (20 Years A Slave)" is one of the tracks on the album that sticks out. It's about finding freedom, we don't need to be bound to the past, instead we can wash those things away and feel alive again. There are a couple of metaphors that recur on this album, rain and roads. Both have already been mentioned in the first few songs, but the examination of the rain concept comes a little more in "12, Rain". Often rain can be seen as a destructive force, it's not often mentioned on the news as a positive, yet we need it for life itself to continue. In the dryness of the world around us the ground is cracking from everything going on and we need the rain to come and clean us. These are still quite dark themes that hover around on this album, there is the occasional glimpse or hope of morning light, but at this point it is darkness that is suffocating, but we hold on, waiting for the promise. There seems to be some promise coming with "Wayfare" which is notably more celebratory and upbeat than the previous tracks talking of re-igniting the whole and the desert coming alive. Possibly we have been through the worst of this musical dark night of the soul as "You Found Me" continues the upbeat trend for a reminder of how nothing can separate us from the love. God is not mentioned here, but the hope of this song is clear, it's a hope of being free from the weights that hold us back. "Still We Run" sounds like something that God may have thought about the Israelites wandering in the desert, but really this is about us. We have seen the things that God has done in history, and in our lives, but still we run from Him preferring to make our home in the wilderness than in the place of promise. "One Nine" has a similar thought, we've become numb to the world, the things around us have become common place, we no longer hurt with the hurting, we turn away and pretend not to hear things. The last track brings us full circle and carries on the sound created in "Alpenglow (Part 1)" which is no surprise as this track is called "Alpenglow (Part 2)". This track feels more like an actual track rather than the first one, which felt like a simple short introduction. This warmth of the sunrise is now in evidence and greeted in the chorus of this track. The day conquers the night, the seasons change and life continues on it's path. I don't think I would have grasped the concept of this album as clearly if it hadn't been spelt out by Cameron Moore in interviews on different websites. Cameron has a great voice and a very poetic pen as he brings his album concept to life. There are a couple of tracks that stand out in this collection, like "Storm The Bastille (20 Years A Slave)" which works really well. Others you have to do some mental gymnastics to work out what a song is actually saying - that's not necessarily a bad thing, it's good to have to use your brain to unpick the lyrics. Unfortunately having listened to these songs over and over again there are very few that have lasted in my memory. Right now they are fighting with songs from "Frozen" which the kids are watching and it may not be as conceptual but "Love Is An Open Door" is winning as an earworm over and above anything on this release.